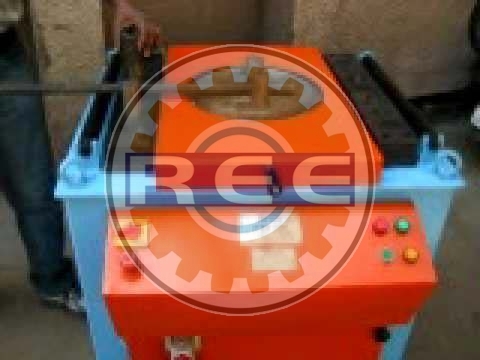 As a renowned Manufacturer, Supplier and Exporter of Bar Bending Machine, we bring you a wide range of immaculate quality. Our skilled professionals use only high-grade raw materials to make sure that our product meets the highest quality grades. The features such as easy maintenance and rugged construction make it an appealing proposition. To further add to its pull, it is available in modified specifications at lucrative prices. We fabricate and supply Bar Bending Machine that is specifically designed for working on the building site. Fabricated following well defined industrial norms, these are appreciated for their excellent performance and functioning. With our rich experience and knowledge, we also fabricate tailor made solutions as per the requirements of our clients. Capable of performing many operations such as cutting, bending, making stirrups, spirals, etc. Powered by 7.5 H.P. Brake Motor. Bar Bending Capacity upto 40mm TMT Bar.